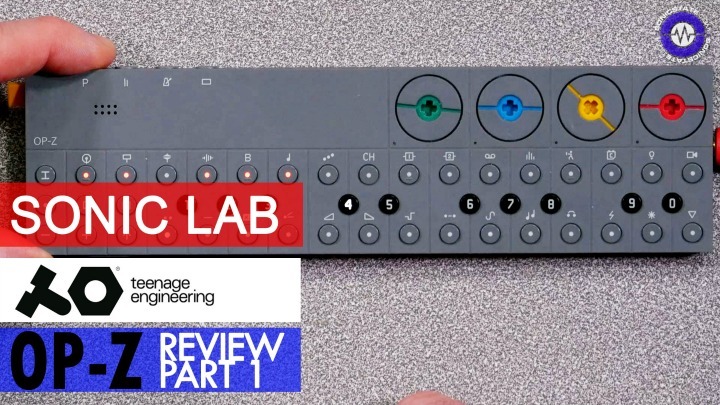 Novation's Circuit Mono Station dropped about the same time as the new Peak (see our review)- the 8 voice hybrid poly synth and as a result was somewhat eclipsed. But the new addition to the excellent Circuit is planted firmly in the analogue domain with a 2 oscillator bass Station II derived analog synth voice coupled with the excellent user interface of the original Circuit. Plus the additional external connections of analogue clock io , CV and Gate, plus and AUX CV output. Starting with the physical - the Circuit Mono Station is larger than the Circuit with the extra top panel needed to house the analogue synth controls. Build quality feels good, solid knobs and faders, plus the nylon Volca style LED backlit knobs of mixer section all feel sturdy enough. There's no internal speaker or battery operation here though. Connections: MIDI In-Out-Thru on supplied minijack to Din connections - in fetching yellow, Clock In/Out (volca compatible trs 1/8th connectors) mean you can hook this up to external analog gear, clock in works at 2ppqn (yes it's Volca compatible), but clock out can be set to 1,2,4,8 and 24ppqn for driving a variety of formats. CV and Gate outputs for driving external 1v/Oct gear, plus an AUX CV out for additional modulation. USB for MIDI and external editor - think Circuit Components. Power is external with supplied PSU. Two identical oscillators, which are Bass Station II style - Sine/Tri/Saw/Square - with PW on each, +/- 1oct coarse tune, +/- semi fine. Both are 16/8/4/2 range. The synth can be played in paraphonic mode with each oscillator's pitch addressable via separate pad sets or indeed external MIDI control. Oscillator sync is possible with a shift function as is ring mod 1-2 via Mixer control. Osc 1 has a Sub osc (triangle) and there is a white noise source. Filter - similar again to the BSII - 2/4 pole State Variable type filter but switchable LP/BP/HP modes - with an additional drive circuit prefilter. Sounds like a BSII type filter, rich harmonics, lots of quack if you want it with the extra drive. Addition post filter Distortion offers three types if you want even more dirt - you can get this to be quite extremely driven. 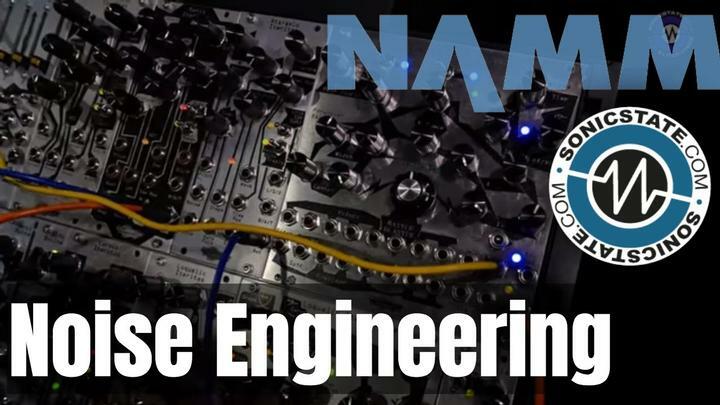 Modulators: One ADSR envelope, one LFO - Triangle, Sawtooth, Square and S&H waves. Free running takes you into reasonably high audio rates, whereas sync mode limits to beat divisions of the master tempo and also resets on key down. Mod Matrix - a nicely implemented system, select the Osc for Pitch and PWM route via Env/LFO/Seq/Velocity other destinations are Amp, Filter Distortion and AuxCV. Dial in the amount you want in positive or negative amounts and your good to go. The Aux CV is routed out to the jack and of course you can combine all the sources to create complex modulation signals to the outside world. It's also worth mentioning that when used in combination with the sequencer, all of the knob and fader parameters can be automated, including mod depth amounts for some extremely complex modulations. Sequencer - there are three sequencers - Osc 1, Osc 2 (paraphonic operation) and Mod. One and two let you control the two oscillators (obviously!) the mod sequencer has 16 values per step- so unfortunately can't be used as an additional accurate pitch sequencer for external CV pitch control. 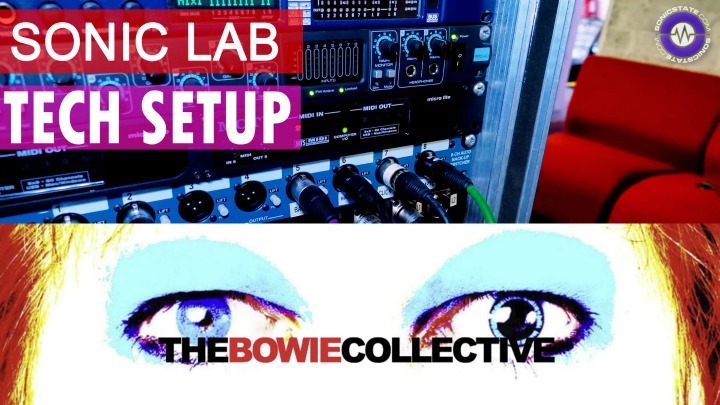 Mono Station has 32 session slots, each slot has up to 16 patterns for Osc 1, 8 for Osc2 and 8 for the mod sequencer. Each part also has additional pattern controls such as timing resolution (clock division) and direction, forward, backwards, alternating and random. Additionally there's a mutate function which randomly generates events in the pattern - useful for generative stuff. Swing can also be applied to the sequence. I confess, I only thought about this as I wrote these words, so it's not in the review, but It's a shame that Osc 2 can't be routed to the CV and gate as it would be possible to run the internal voice from one squencer, and an external voice from another as completely independent patterns. As it is, CV and Gate follow Osc 1 which is also the master gate for OSC 2 - eg osc 2 won't sound without a trigger via Osc 1. But as with the GUI for Circuit (which in my opinion is a masterpiece) it's simple to use and works well for improvised work. 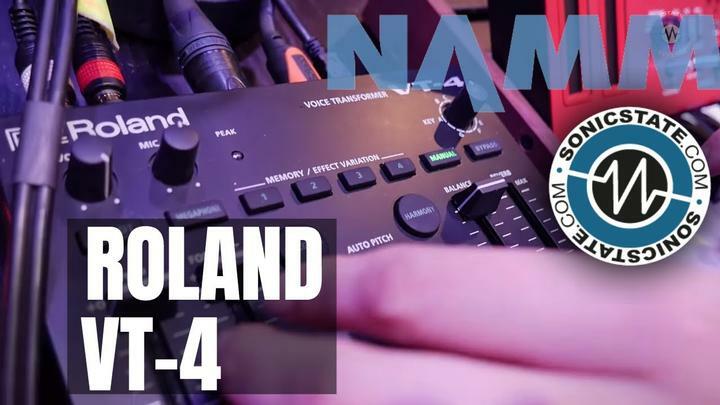 The scale can be set for the two note sequencers which makes playing from the pads more useful for dramatic multi--octave note sequence recording, you'll probably want to hook up an external keyboard. The synth sounds decent enough, lots of modulation possibilities with the sequencer make for complex sound shaping, and great for external synth CV control, but I can't help but feel that the inclusion of FX, even a basic delay would have made a really big difference. I don't know if the Circuit Mono Station will benefit from the same seismic shifts in functions that new firmware has provided for the Circuit due to it's analogue nature, but presumably the sequencer functions might, time will tell. My feeling is that while this is a great sounding and creative instrument, with a lot of tempo synced modulation options, it feels a tad expensive, the Circuit is £279 and the Bass Station II is £359 while the Circuit Mono Station is a hefty £479/$499 which makes it a harder sell unless you want all the specific features, you may feel you are paying a little more for a little less of each.